The Minister of State for Development of North Eastern Region (I/C), Prime Ministers Office, Personnel, Public Grievances & Pensions, Atomic Energy and Space, Dr. Jitendra Singh addressing the inaugural session of the 5-day Asian Conference on Remote Sensing, in New Delhi on October 23, 2017. New Delhi : The Union Minister of State (Independent Charge) of the Ministry of Development of North Eastern Region (DoNER), MoS PMO, Personnel, Public Grievances & Pensions, Atomic Energy and Space, Dr Jitendra Singh has said that India’s Space Mission to Moon, “Chandrayaan-II”, will take place in 2018, most likely in the first quarter of the year. 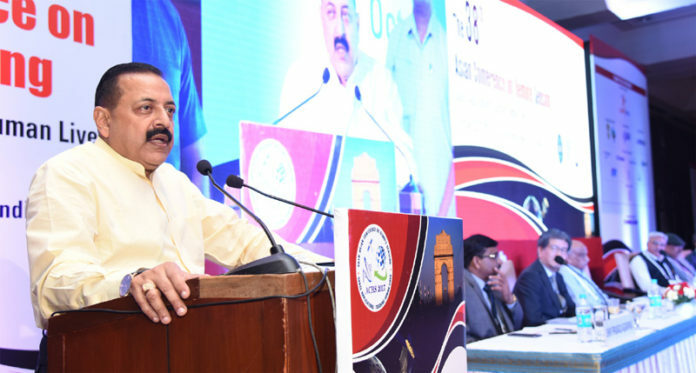 Addressing the inaugural session of the 5-day Asian Conference on Remote Sensing here today, Dr Jitendra Singh said that India has today emerged as the world’s frontline nation in the field of Space Technology. This, he said, is in itself a glorious vindication of the dream seen by the founding fathers of India’s Space Programme, like Vikram Sarabhai and Satish Dhawan. Giving credit to the Prime Minister Shri Narendra Modi for giving fresh impetus to Space Research, Dr Jitendra Singh said, it was during the last three years that India could launch a South Asian Satellite which would be also providing inputs and benefits to the neighbouring countries. In addition, he said, the biggest achievement in the last over three years is that the Prime Minister personally intervened to arrange a brainstorming of Space Scientists with each of the different Ministries and Departments in Government of India to promote the application of Space Technology in infrastructure and development works. In this context, he referred to widespread application of Space Technology in carrying out the Urban Development programmes, including Smart City programmes, the use of Space Technology for geo-tagging of MGNREGA and the assistance from ISRO for the manning of Railway crossings. Chairman ISRO, Shri Kiran Kumar, who was the Guest of Honour on the occasion, spoke about the various achievements of India’s Space capability in the field of Disaster Management. 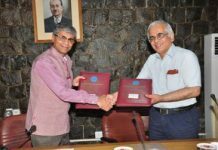 Veteran Space Scientist and President of the Indian Association of Remote Sensing, Dr Shailesh Nayak also spoke on the occasion. 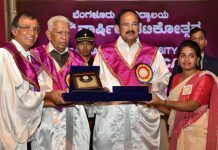 At the event, awards were presented to outstanding Space scientists under different categories. 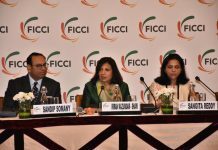 The 5-day conference is being attended by over 500 eminent foreign delegates and some of the world’s most distinguished faculty in the field of Space Science.